Rank Math SEO Plugin is the newest plugin for your WordPress SEO Optimization, It was developed by Mythemeshop company. This plugin the powerful lightweight WordPress SEO plugin that make you easy to optimize your page. Within this plugin, the SEO expert has combined the strategies that boost your on-page SEO ranking. On Page technical is slow? Rank Math really fast because it has the analyze on-page factors that will calculate how well you had done on every single page and post you had created. This algorithm called Analyze On page factors in an instant. With Rank Math, you can even import the Yoast SEO data with the rank math SEO plugin start the wizard. So you don’t have to worries about your previous SEO data from the Yoast SEO plugin by moving to the Rank Math. Rank Math gives you full control over your Google listing this is a really great feature that other SEO plugin doesn’t focus on. It is the most important part for the blogger to find the right position of your ranking. This plugin will analyze your website from the inside out and it gives your every in details about your website SEO. Rank Math SEO Plugin has lots of features out there, it also included the ranking tracking and help you boost your click-through rates on Social Media. Rank math SEO plugin comes with the multiple-valued modules and helps the blogger to get the better ranking result of the search engine. Because it builds for the right of the ranking factors by the most of the popular search engine algorithm such as Google. Even Rank Math SEO plugin is cames late the SEO market but it comes with many professional features and tools to help your user get better SEO optimization in their business and blog. Rank Math comes with a good feature which is one click import data from Yoast SEO & All in One SEO plugin. They brought feature up because it helps site master to save more times by not re-optimizing with Rank Math once again. All the data in every post and page such targeting keyword and all SEO related rank math will import all whether you use Yoast SEO or All in One SEO plugin in the past, it simply can finish up by just one click importer. I have tested and it was successfully imported all the data from my Yoast SEO plugin optimization without any error while progressing import. You find this import SEO setting while Setup wizard, You will able to import things there with just a simple click out there. It can’t be believed because Rank Math bring the most useful functionality, 404 monitors. Which easily control your website 404 error logs. We now not need to configure this error in Google Search console anymore because rank math SEO plugin is already done it. We can control all the error logs within our website by using Rank Math. It spends the very short time to optimize it. 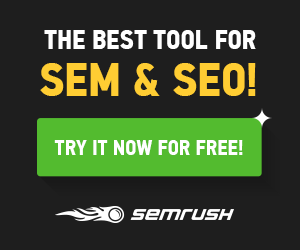 I really like this powerful tool because it helps me to optimize my website SEO improvement and you may also like this tool too while you using it. There are almost 65% of the search are comes from mobile and mobile marketing is became the most popular in online marketing. So AMP (Accelerator Mobile Page) it comes to improve the website page speed for the website on mobile browsing because people are likely the fastest website loading in this decade. While so many people are using mobile AMP because the most useful tool to integrate with your WordPress website. Why Rank Math use the AMP module in their plugin? Because of it an important part in SEO market nowadays to improve your website audience you also need to optimize your website with mobile friendly as we knew that so many people are using the mobile phone to browse the web for alternative the computer. Rank Math AMP module is supported with the AMP plugin by Google. You have to install AMP plugin and activate it before can get the module active on your website. Local SEO module in Rank Math SEO plugin is the best tool that you can use it to rank your business website locally in a country you’re targeting. This is an amazing feature that most of the SEO plugin never have. But Rank Math included it Because they bring the user with the best of SEO optimization for the Ranking on Search Engine. To help you improve the local SEO to build better branding in your local country that we had targeted. Redirections module is a great feature that helps you to make a redirection from the 404 error link to the live article and page. This function will help the blogger to avoid the died link and move to right one of the live article, it also great for the SEO term and increase your ranking. This redirection is good for whenever you want to change your post or page link anytime then you have to just need to make redirection to old one. You also can redirect 404 error links that you have made in the past and make it redirect to the right of the article. This redirect will give your website with no 404 error then you will is always healthy and give your user a good experience and make them feel happy to come to your website. It embraces makes Schema.org markup easy. Its functionality in Rank Math SEO plugin allows you to pick the right schema.org markup whether it a recipe, reviews, normal article, music and etc..
You can pick the right Rich snippets of your article by selecting on the Rich Snippet Type Options. Pick the right one for your article to make better SEO. It the best feature ever because that Rank Math SEO plugin had done for us. Role manager module is the SEO options for your website users to use rank math SEO plugin. This is can be allowed by the site administrator whether you allow your user to access the rank math SEO plugin optimization or not. This module is great for the website that has multiple users and set them up to access the Rank math SEO optimization matched the role of them in. Rank Math SEO Plugin is a powerful tool that performs the ranking tracking from Google search console. You can check out the image feature screenshot below to see how it work for your ranking tracking. It also has an option that shows you how many keywords you have ranked on a search engine, click, impression, and position. This option can help webmaster to optimize the post SEO to get better rank on the SERP. Which is a really cool feature for every website should check it out. There is an option along with that, It a Sitemap reports ( Error, Warming, and index status ) crawl error 404. It simply helps blogger or webmaster to fix the issue on their site get better traffic from the search engine. There is another great feature on Rank Math is SEO Audit Tool. This option will audit your website SEO techniques that you were done on your website whether it a great job or issued SEO optimization. Post With Missing Focused keyword in SEO Title. Are you using Caching Plugin or Not? Caching plugin will help your site to load faster that enhances site performance and increases engagement that again helps to boost SEO. Your article is also good information for the readers. Thanks for writing a detailed review of Rank Math SEO plugin. Those who are confused to switch to Rank Math, this post gonna help them out to make a decision. keep publishing content like this. Thank you so much to hear from you and your feedback.